With three hip surgeries behind him, a weight of 425 lbs, and a 40th birthday fast approaching, Larry decided he wanted to get fit and that’s when he joined Calibrated. 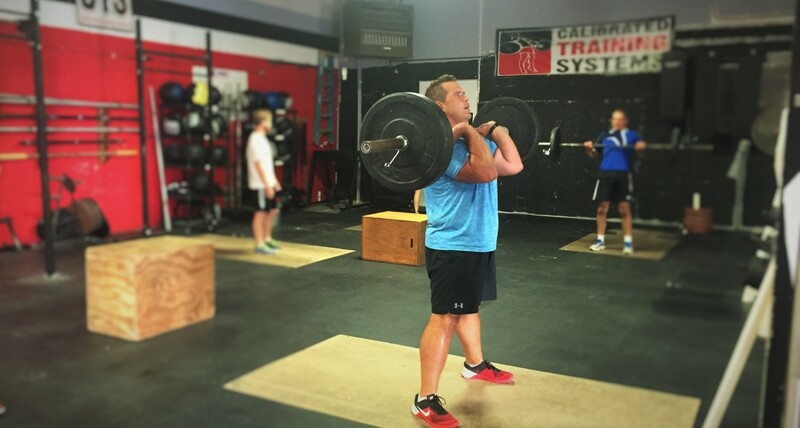 Five months later, he has lost over 100 lbs and is planning to compete in CrossFit masters competitions next year. CrossFit Light meets the needs of new members who are on a budget or needs an “easier” CrossFit experience to get started with a new fitness routine. All workouts are designed for you to gain strength, mobility, muscle endurance, and conditioning. We serve CrossFit athletes in Great Cincinnati, Mt Lookout, Hyde Park, Oakley, the entire Eastside, and Loveland. Wherever you live, elite fitness is just around the corner. You are about to begin a journey that will get you into the best shape of your life. Whether you are 23 or 63, CrossFit and Calibrated Training can help you achieve your goals.